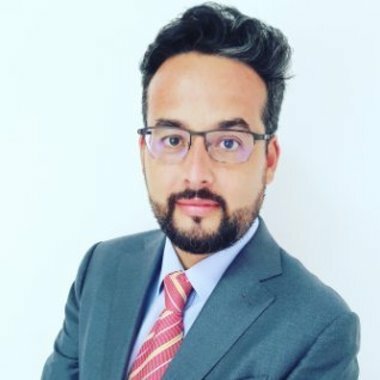 Luis is an energy industry software professional committed to the Energy Industry Digital Transformation. With 18 years of experience in the Sales Strategy, Planning and Deployment of Customer Service and Asset Management software solutions ( ERP/APM), he has been Involved with over 50 Energy Clients advising them on how to develop and execute their software solutions road map strategy to drive change and value in their organizations within Asia Pacific, North/ South America, Europe and the Middle East. He is the regional leader for the software segment in Power Services of GE now, and is responsible for the overall performance and growth of the GE Power Digital business in Asia. In this presentation Luis will explore the following questions: What is Digital Transformation in Industrial terms?, Why does it Matter? The Paradigm and Culture Shift and GE's Path to Digital Industrial. After all the hype, is digital transformation really Happening? How are industrial players defining their own transformation and what’s next? He also will touch upon self-disruption, innovator challenges and share some use cases. Also there will be a Q&A session and Luis welcome questions of all types. If you are interested and would like to air your concern, prepare your questions and ready to discuss in-depth with Luis.